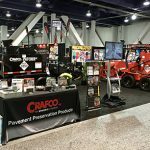 Since 1976, Crafco has been the world’s largest manufacturer of innovative, proven-effective crack sealant and application equipment. 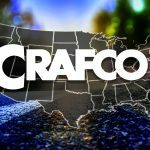 For over 40 years Crafco has been providing the industry with quality products and service that deliver high value to our customers. Full-time employee benefits include; medical, dental, life insurance, 401K, profit sharing, vacation time, sick time, and ten paid holidays. Learn more about the Crafco Mission, Vision and Values and join our successful and growing team! 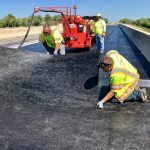 Choose the job you are interested in below, read the job description, fill out the form and upload your resume. Copeland Coating Company, a Division of Crafco, Inc. Interested in applying for a position that is not listed? Complete the form below to submit your resume to our team!